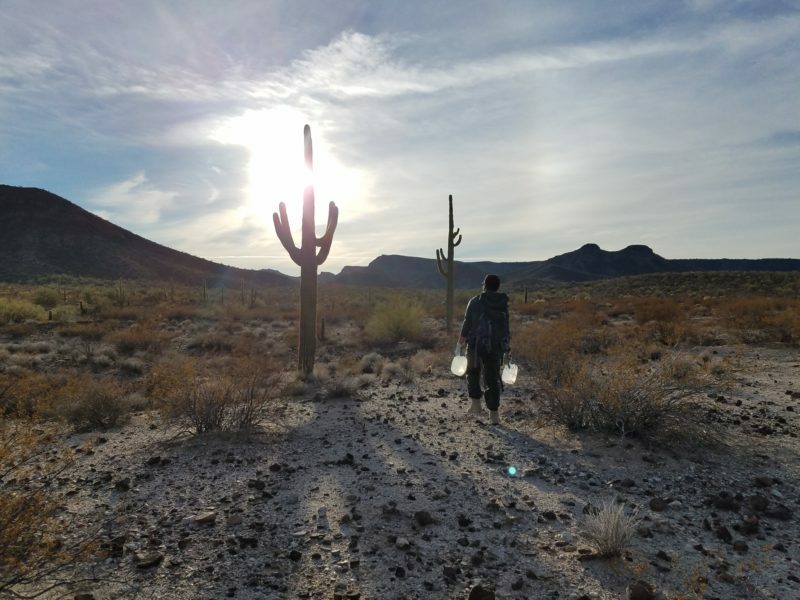 Tucson, Arizona—On January 17 near Ajo, Arizona, a humanitarian-aid provider from the group No More Deaths and two individuals receiving humanitarian aid were arrested by the US Border Patrol. The arrests came hours after the release of a report concluding that the Border Patrol plays a significant role in the destruction of humanitarian-aid supplies. Scott Warren, 35, was preliminarily charged with a felony involving alien smuggling and appeared in court on January 18. He was represented by Bill Walker and released on his own recognizance. The two other individuals remain in custody. In 2007, a federal judge dismissed similar charges brought against No More Deaths volunteers. The arrests came hours after the release of a report concluding that the Border Patrol plays a significant role in the destruction of humanitarian-aid supplies. 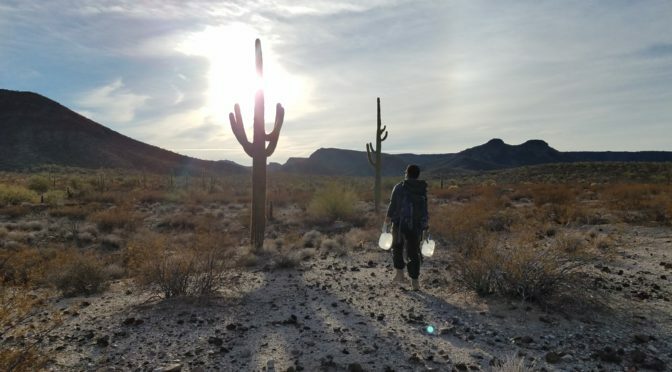 The report coauthored by No More Deaths, Interference with Humanitarian Aid: Death and Disappearance on the US–Mexico Border, was released last Wednesday and included video footage of the US Border Patrol destroying water gallons. The report also documents years of surveillance, threats, and interference with humanitarian aid efforts. No More Deaths provides direct humanitarian aid in an effort to end death and suffering along the US–Mexico border. Warren has been instrumental in organizing humanitarian aid in the remote west desert around Ajo. Almost half of the 128 recovered remains of border crossers found in 2017 in Arizona were found in this area. Home to the “Devil’s Highway,” this corridor is one of the longest stretches of wilderness along the border. It is characterized by 110-degree-plus heat during the summer and extreme temperature fluctuation during the winter. It is also home to the 8,500-square-mile Barry M. Goldwater bombing range. These arrests come during a nationwide targeting of sanctuary and migrant-justice organizers by federal agencies. They also come at a time when Congress is looking to fund the further militarization of the border. No More Deaths continues to provide humanitarian aid and condemns the targeting of community organizers by the US Border Patrol and ICE.